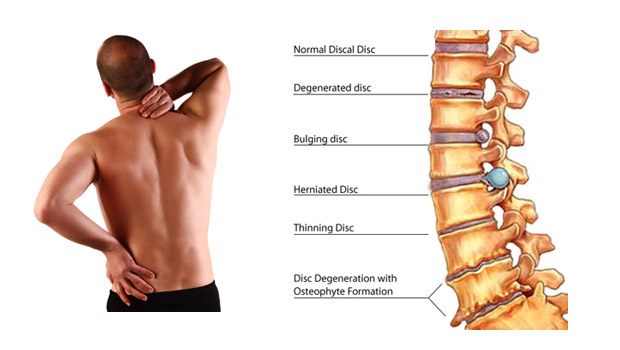 There are thousands of people around the world who are suffering from the lower Back Pain. Many people fight against the illness in his or her whole life. As a kind of chronic diseases, it is not easy to get rid of it. However, if you have a good knowledge of the causes and the treatments of Lower Back Pain, you can deal with the problem step by step. Generally speaking, the common causes of lower back pain consist of lumbar strain, nerve irritation, lumbar radiculopathy, bony encroachment, and conditions of the bone and joints. To put it simply, the overuse or injury of muscles and never roots may lead to lower back pain. And the spinal condition is very significant. Anything happened to your spine may cause the pain. The old people are more likely to face the problem. We can conclude that there are many leading factors of lower back pain, including injury, illness and old age. As we talked before, the causes of lower back pain are various which mean people need to treat it differently according to different causes. What’s more, everyone needs to be treated individually based on the health status and the real situation of the illness. Here we provide you with a common method to reduce and get rid of the pain. If your pain lasts more than 2 weeks, you may need to see a doctor and get a comprehensive diagnosis. Only after you find out the precise cause of your lower back pain can you seek appropriate remedy to solve it. In this case, your internist will help you out and offer you a physical rehabilitation routine. Take much rest. Since the pain may be caused by the overuse of your muscles, you had better give yourself a good rest. In some cases, the pain will go away by itself. There are some small tricks in sleeping that may help you to relieve the pain. For example, try to sleep on your side which can reduce the pressure your back suffered. Find a small pillow and put it between your legs. It gives your lower back extra support. Change your bad postures. Check yourself right now and find out whether you have some bad postures that may contribute to the pain. And if yes, please correct them immediately. Usually, you need to make sure that your chest is upright and elevated and your shoulders are comfortable. You should keep the right position in your work as well. Ice can be helpful in easing the pain. It can reduce swelling and pain by constricting the blood vessels. If you have difficulty in putting the ice on the painful area, you can ask your family to do it for you. Cool water is also effective. In fact, a frozen bag of vegetables is useful too, especially the peas which have obvious effects. Heat is as effective as ice. You can use moist heat on your lower back for about 15 to 20 minutes. Alternate between the heat and cold treatments as you like. Keep in a good mood and find suitable ways to release pressure and stress. A good mood always does good to your health. When you are happy, your body will function much well. It will speed up the recovery process. There is no one-fit-all treatment that will deal with lower back pain for everybody. You should figure out the exact reason why you get the problem and then apply targeted solutions. The Internet is always the best place to find answers. If you have problems, please search the Internet.